You’d be forgiven for thinking that a torre – tower – should be tall. Traveling around on the delightful back roads north of Modica, it’s easy to get confused by the unsigned roads. I’ve spent a lot of time trying to figure out where these roads may lead, and enjoying what I find along the way. However, at some point I need to get back home, so I usually ask a farmer for directions, and on one occasion was told to turn left at the torre (tower). Off I went looking for something tall on the horizon, which I never found. I needed to lower my gaze. In the countryside of Modica the so-called torri are not tall, but they are imposing. 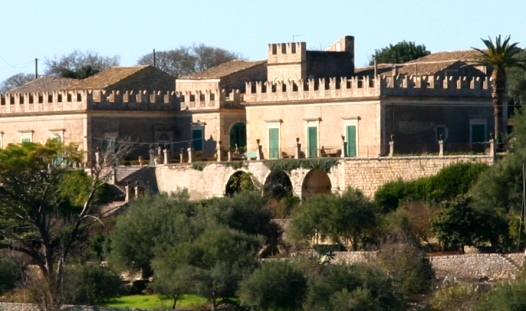 The torri are grand country villas built in the 18th century by the aristocracy as a respite from the summer heat of the city, and a refined place to entertain guests. 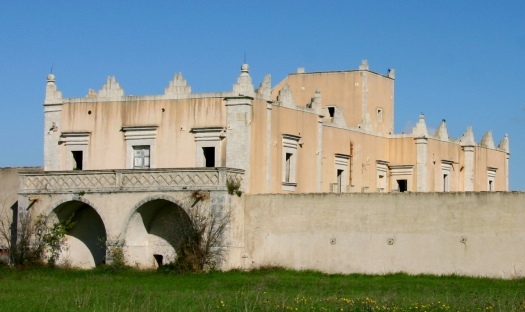 The torre part comes into play for the decorative crenellations on the top of the walls – often found on watchtowers or castles – and these architectural elements simply emphasize the imposing appearance of the villa. In other words, they scream to be noticed. 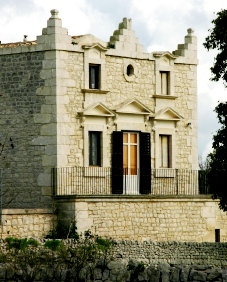 At the time that the torri were built, Modica was politically considered to be a contea, seat of the Counts, and there was a constant scramble to impress other members of the aristocracy. New arrivals who bought noble titles felt particularly compelled to build lavishly, both in town and in these stately villas. One can just imagine them moving from torre to torre as invited guests, then gossiping about the color scheme. Some of these torri are open during Modica’s summer music festival called Note di Notte – Night Notes – when concerts are held in these patrician villas, and you can pretend to be a Count or Contessa for an evening. I’m exactly the same Anita – I love ‘spotting’ a tower or catching the glimpse of one – sometimes if I have the time I’ll try to find them to have a better look!